Day two of CXLA saw a drastic difference in conditions from Day One for the U23 Men’s race as Maxx Chance (Evol Racing) would better yesterday’s performance by one step up on the podium to take the win. Rain fell during much of the 50 minute affair making the mostly grass course slick but not too muddy. 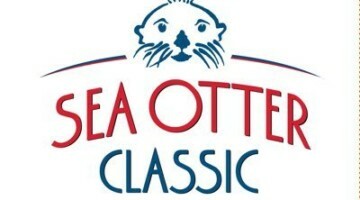 “Race was fun. It was really good, nice and muddy. 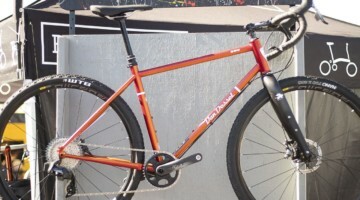 I started on mud tires, just for some extra grip. I tried to stay at the front, control the pace, not get too much mud in my eyes. Just kept riding hard through the front, and knew whoever hit the pavement first was gonna take it. So, I just tried to be the first one there,” said Chance. 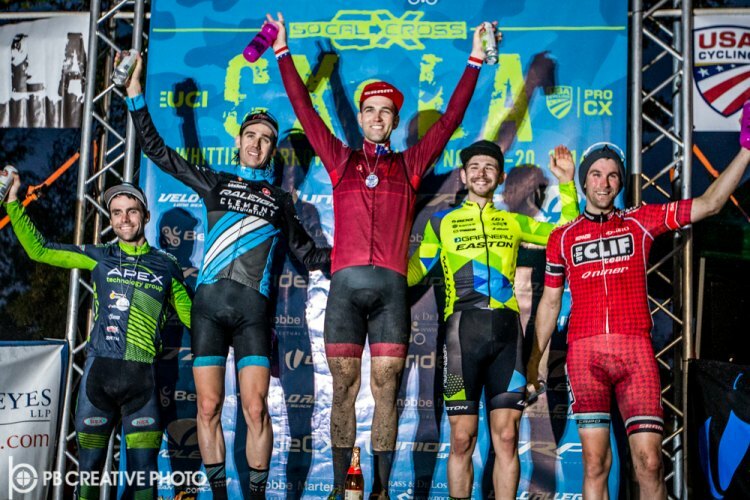 Saturday’s winner Grant Ellwood (Boulder Cycle Sport/YogaGlo) took the holeshot just in front of Chance with Lance Haidet (Raliegh Clement) and Brannan Fix (Alpha Bicycle Company – Vista Subaru) close behind. That group would quickly form a gap over the rest of the field and make it stick to the end. Haidet held a lead heading into the final lap, but Chance set off on a determine chase, catching Haidet with half a lap to go and distancing him for a convincing gap that allowed him to celebrate. 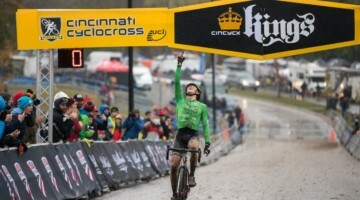 Chance was followed by Fix, Haidet, Ellwood and Cameron Beard (Cannondale p/b Cyclocrossworld.com Devo). 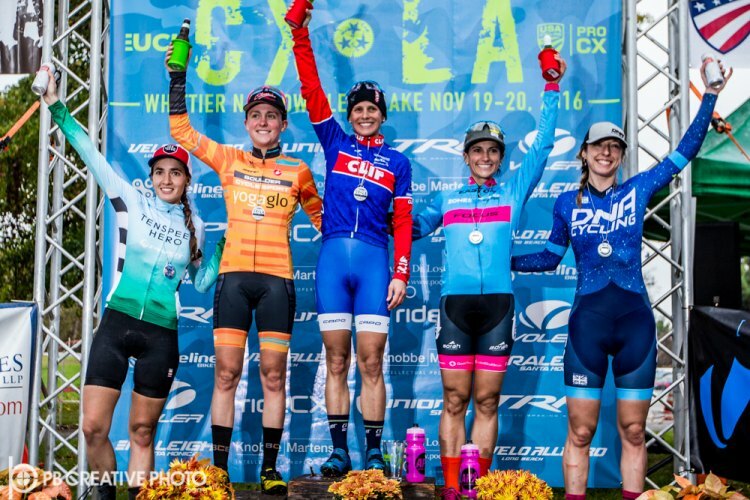 In a downpour of rain, Katerina Nash (LUNA Pro Team) proved she could win at CXLA no matter the conditions. The women’s race opened up quickly despite the rain. The field was headlined by Katerina Nash (Luna Pro Team) and Amanda Miller (Boulder Cycle Sport / YogaGlo) with many of the top domestic podium contenders such as Ellen Noble, Katie Compton, and Caroline Mani either taking the weekend off or over in Europe for the next set of World Cups. Miller took the holeshot down the long paved start straight and led the field into the first lap. It took less than half a lap for a lead group of Katerina Nash, Miller, Sofia Gomez-Villafane (Tenspeed Hero-Pivot), and Courtenay McFadden (GE Capital-American Classic) to form. After a lap and a half of riding together, Nash attacked and the remaining three were left to fight for second. “The conditions were really fun today, muddy and slick and challenging. I really enjoyed riding around this course,” commented Nash. Mindy McCutcheon (DNA-Cotton Sox) fought hard to get on terms with the first chase group but could not make the junction, coming in fifth. “The conditions were really fun today, muddy and slick and challenging. I really enjoyed riding around this course,” commented Nash. 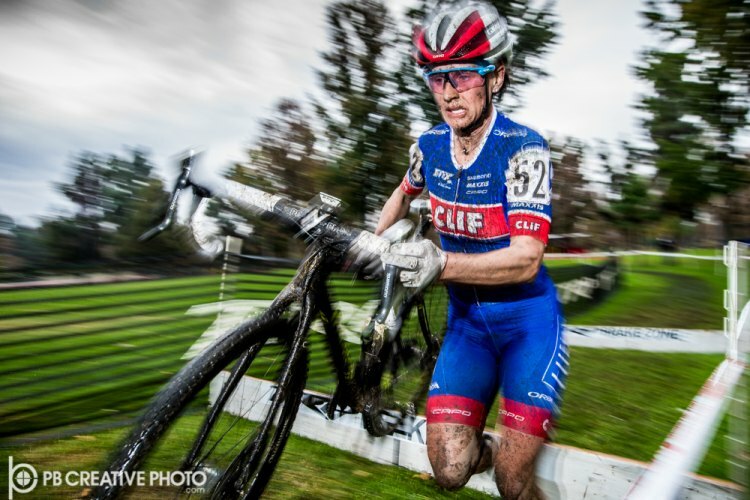 As the Elite Men took to course the second day of CXLA the rains had stopped and the temperatures had dropped. 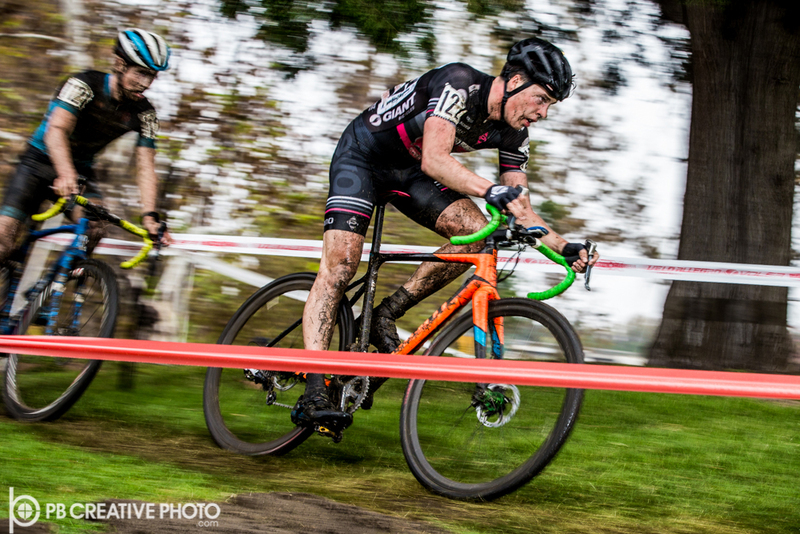 The men didn’t let the rain or increasingly slick and muddy course slow them down, and blasted off to hit the course with cyclocross veteran Jonathan Page (Fuji) grabbing the holeshot. 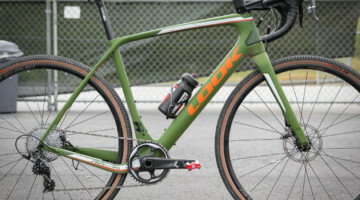 Soon Page was quickly replaced at the front by Yannick Eckmann (Boulder Cyclesport-Yogaglo). 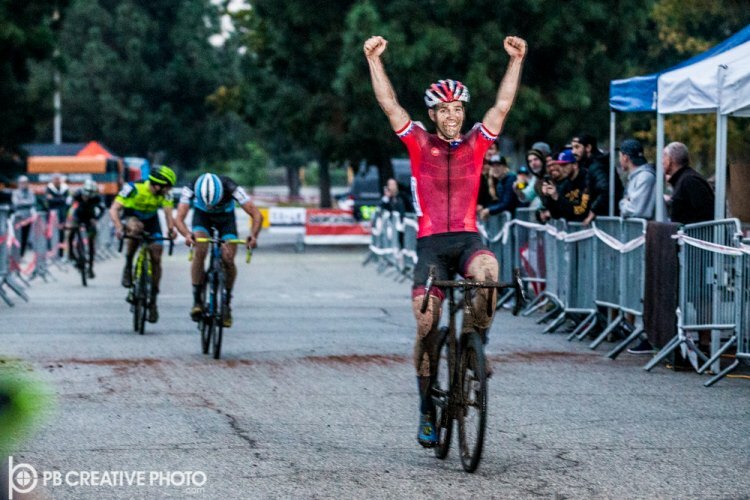 The conditions and early attacks were not enough to dampen the spirits of Tobin Ortenblad (Santa Cruz Factory Racing), as he set off to repeat his winning performance from Saturday and double his Elite UCI wins. 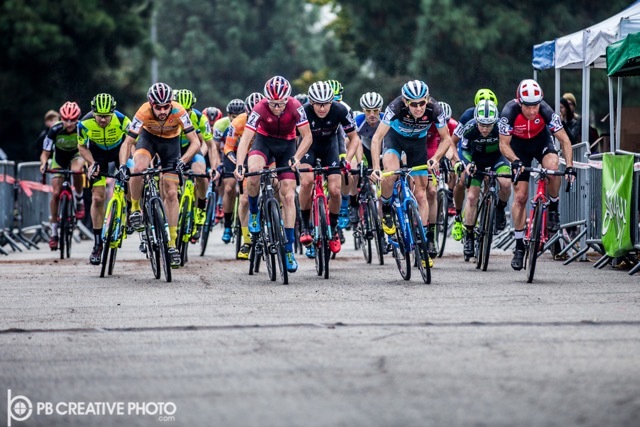 The top 15 riders stayed relatively compact through the first lap with no one getting away thanks to the watchful eye of Tobin Ortenblad (Santa Cruz Factory Racing). The end of lap one saw a group of 12 riders led by Ortenblad waiting for someone to make a move. 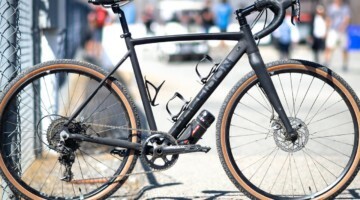 That move came from Michael van den Ham (Garneau-Easton Cycling) who attacked through the sand pit and quickly began putting bike lengths between him and the chasers. Ortenblad was quick to react to the move and joined Van den Ham off the front with the two of them beginning to build a lead. Van den Ham repeatedly surged in attempt to shake Ortenblad from his wheel only to settle in and work with him as lap two came to a close and they had grown their lead to 6 seconds over a large 11 man chase group. 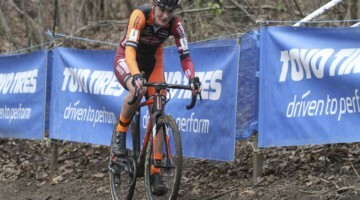 A mechanical on lap two eliminated Page’s podium hopes. The following laps continued in as similar fashion as the two riders off the front tried to press their advantage, only to be held back by Allen Krughoff (Boulder Cyclesport-Yogaglo), Yannick Eckmann, Troy Wells (Team Clif Bar), Jamey Driscoll (Raleigh-Clement), Justine Lindine (Apex-NBX-Trek), Cody Kaiser (Lange Twins-Specialized), among others. The hard charging pace began to cause riders to fade and caused a reshuffle of the groups. Eventually, Lindine, Wells, and Driscoll worked their way up to the duo of Ortenblad and Van den Ham. This group of five continued to hold off an immediate chase group of Krughoff, Eckman, Kaiser, and Adam Craig (Giant Factory Off Road) that were back at around forty seconds. Casualties of the high pace included Jonathan Page and Geoff Kabush (Scott), who both began to drift off the back. With three to go, there was no major change in the placings. 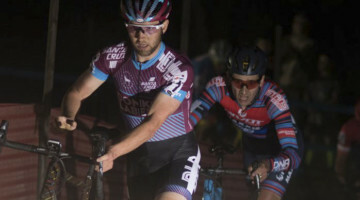 Soon after passing through the finish area, Driscoll put in a big dig which was closely followed by all in the group except for Wells, who began to fade through the lap and was eventually gapped. Driscoll continued to be on the offensive repeatedly putting in big efforts and at time holding a several bike length advantage only to have Ortenblad close it down. With Ortenblad always attentive at the front, it was Driscoll who put in the move at one to go that would shatter the pack of five with Wells and Lindine being the first to go out the back. Coming through and seeing one to go, Ortenblad continued to lead with Driscoll, Van den Ham, and Lindine right on his heels, Wells sat over 20 seconds back, and the chase group of Krughoff, Eckmann, Craig, and Kaiser close to a minute back. Leading into the last set of barriers, Ortenblad came around Driscoll, bunnyhopping his way into first. Driscoll would settle for second, Van Den Ham for third followed by Lindine and Wells. In case you missed it, be sure to read the Updated Full Race Report, Results and Photo Gallery from CXLA Day 1. More than a touch! Great photos. 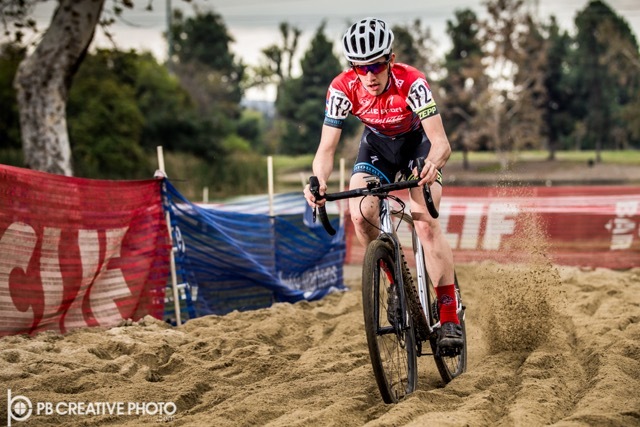 cyclocross McTubbbin katkanash I guess that “gun to a knife fight” worked better in LA than it did against the euros.